London police are considering linking manslaughter charges to those potentially guilty for the fire that killed around 79 people in the west London apartment recently. The Metropolitan Police confirmed on Friday that the June 14 blaze was a byproduct of a refrigerator fire. The exterior cladding that was attached to the building was noted for having failed safety tests conducted by investigators. Police also seized documents from numerous organizations related to the incident. The government has ordered an immediate examination of the refrigerator model that started the blaze. McCormack said the Hotpoint model FF175BP refrigerator-freezer had not been subject to any product recalls before the fire. Hotpoint said Friday that “words cannot express our sorrow at this terrible tragedy” and added it was working with authorities to examine the appliance. 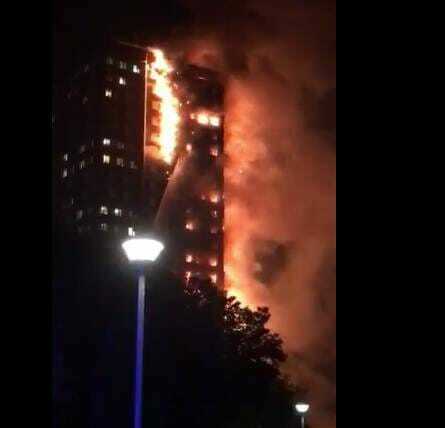 The overnight fire rapidly engulfed Grenfell Tower, with flames shooting up the outside of the building, raising concerns that the cladding material attached to the concrete block didn’t comply with fire-safety rules. Police are looking at all parts of the cladding system and its installation, McCormack said.